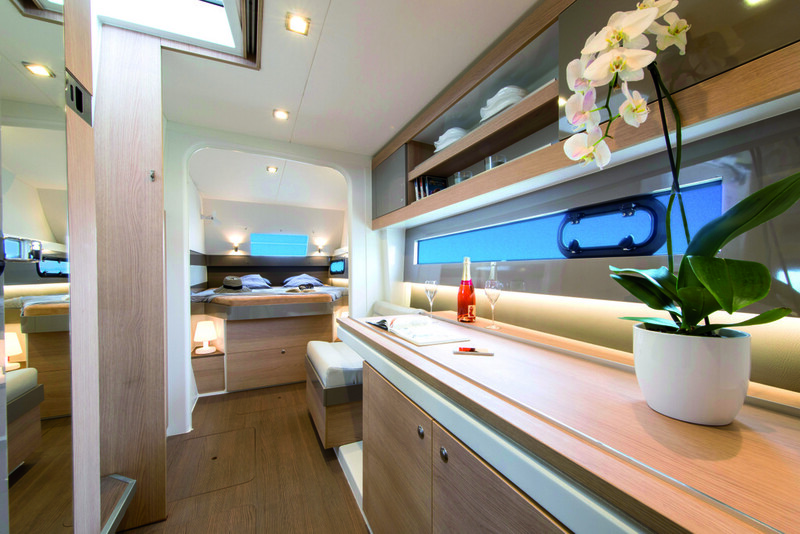 - The vast cockpit/saloon area, which completely opens up with a huge pivoting glazed door. 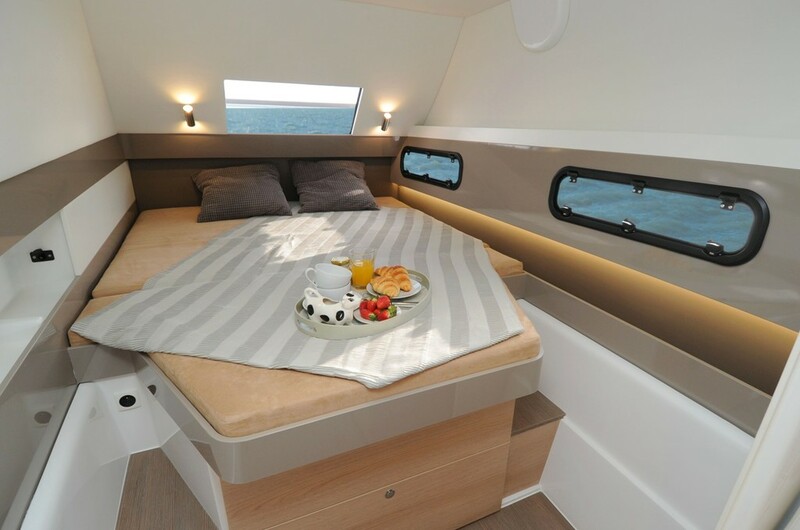 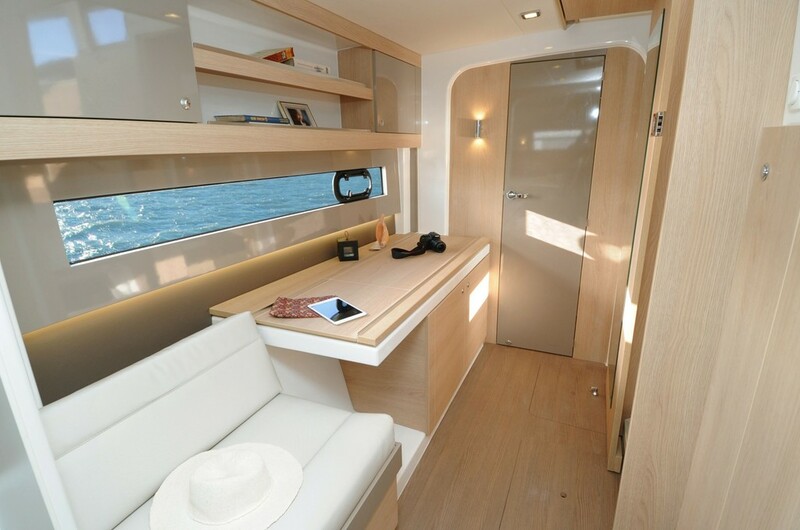 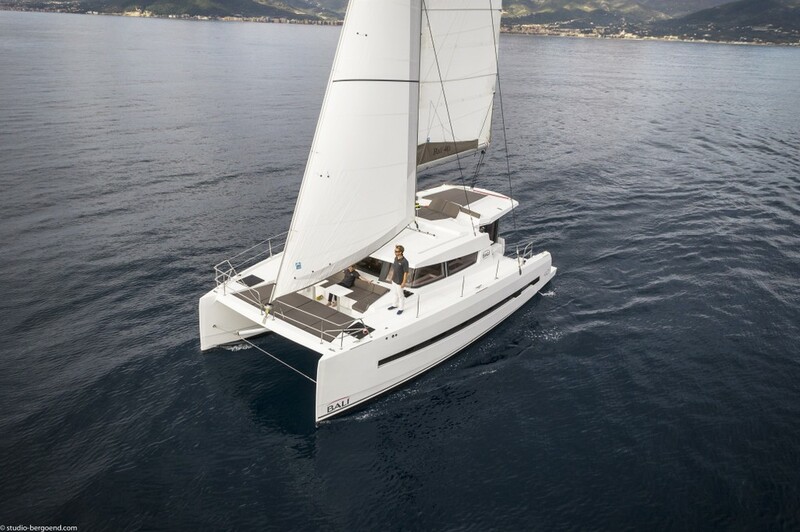 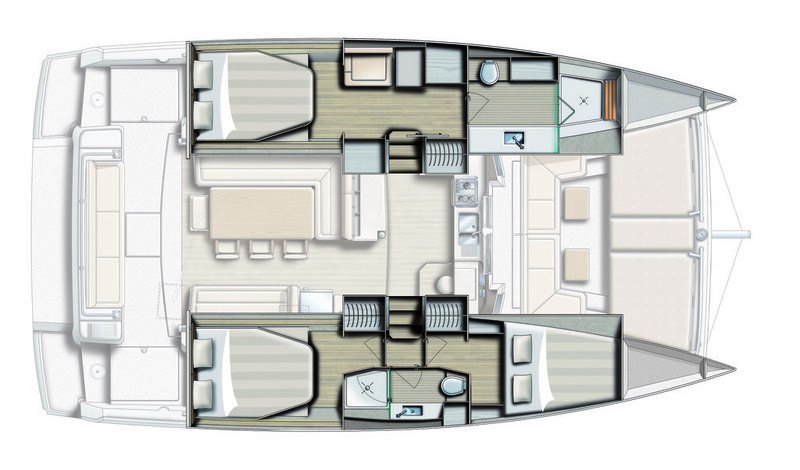 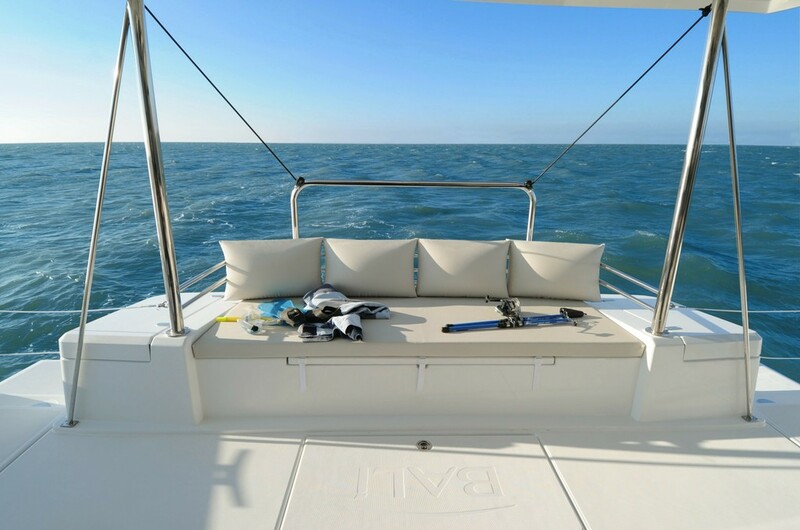 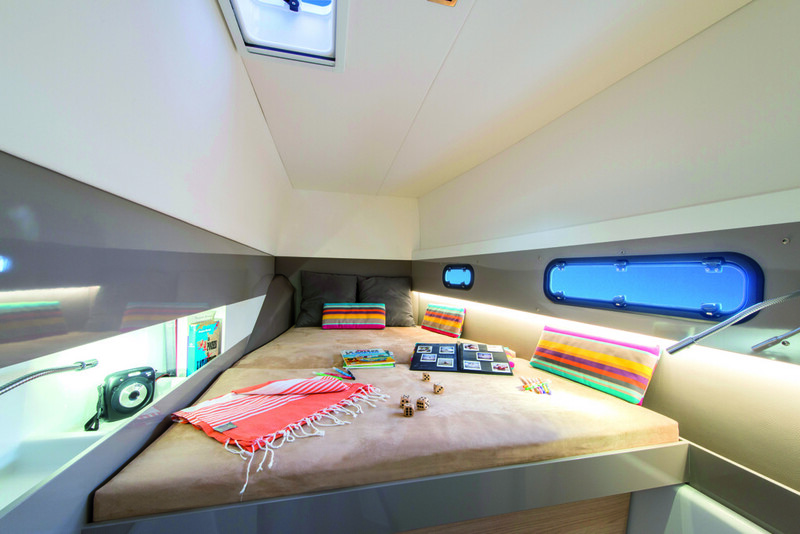 - The very seaworthy integral foredeck area that provides rigidity and protection from spray with a very large sunbathing area and a forward cockpit chic can comfortably accommodate the whole crew. 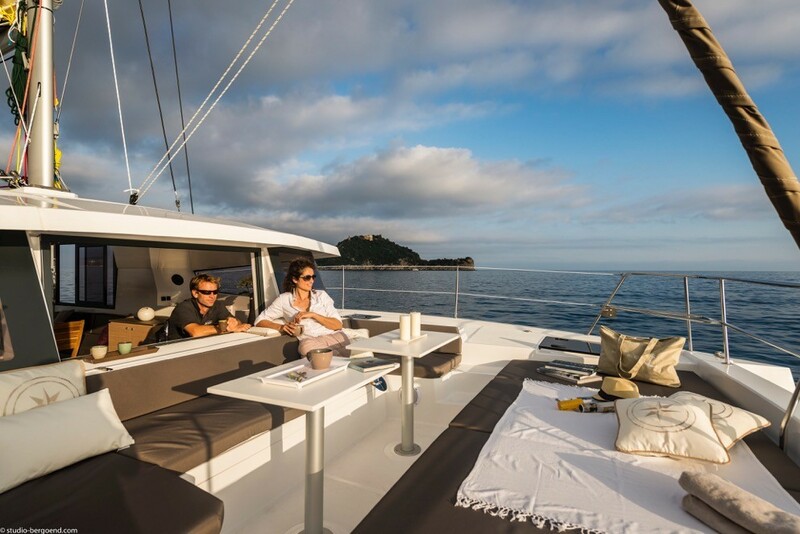 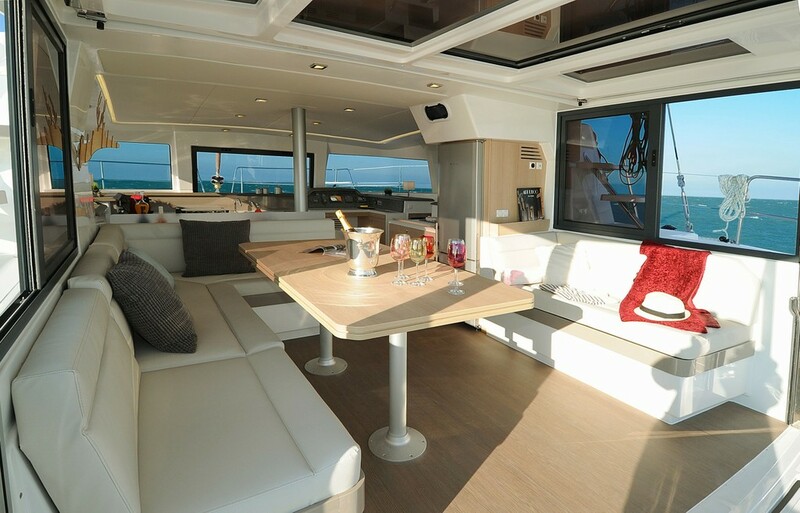 - The raised helm station and very convivial flybridge. 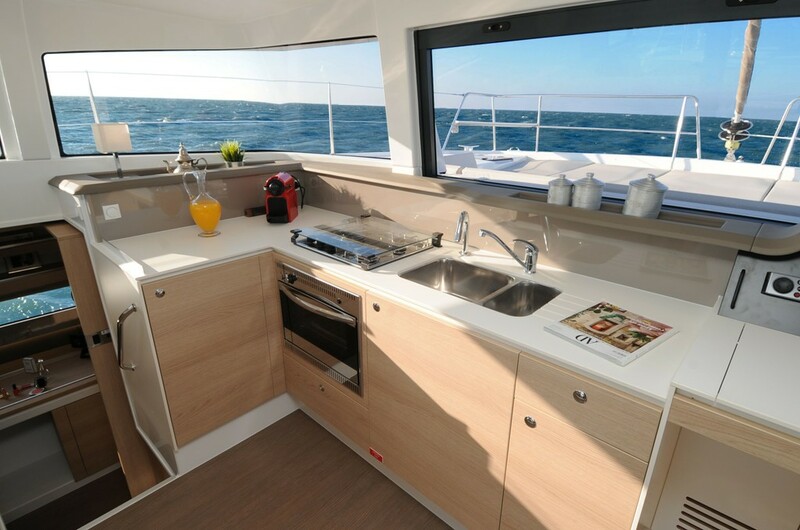 - Retracting or sliding window for optimal ventilation both at sea and at anchor. 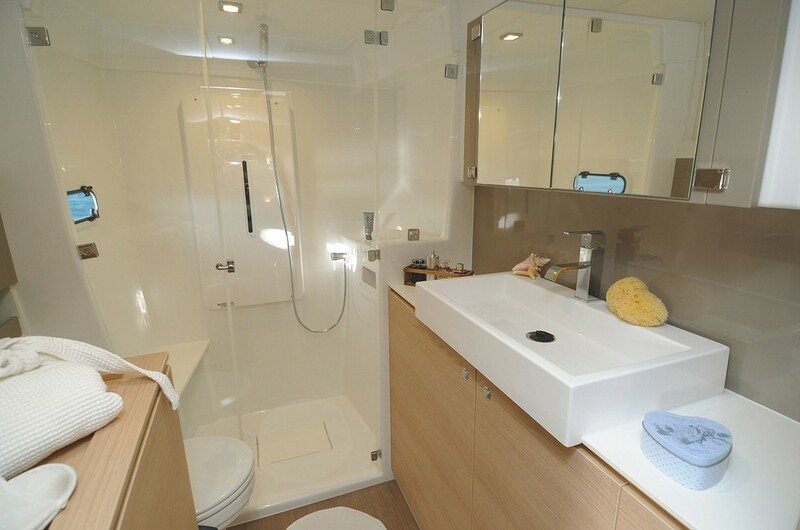 - Water and diesel tankage, and cool capacity superior to those of all their competitors. 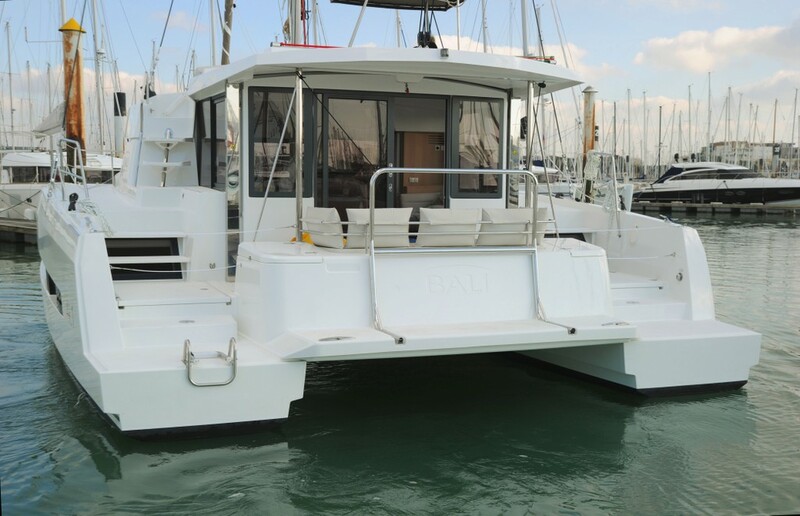 - A new integral aft platform linking the two hulls. 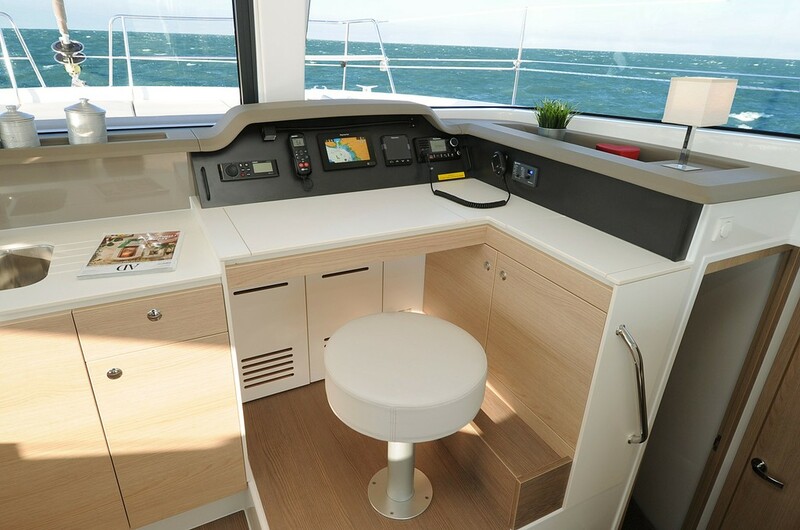 - New bench seating in the aft cockpit. 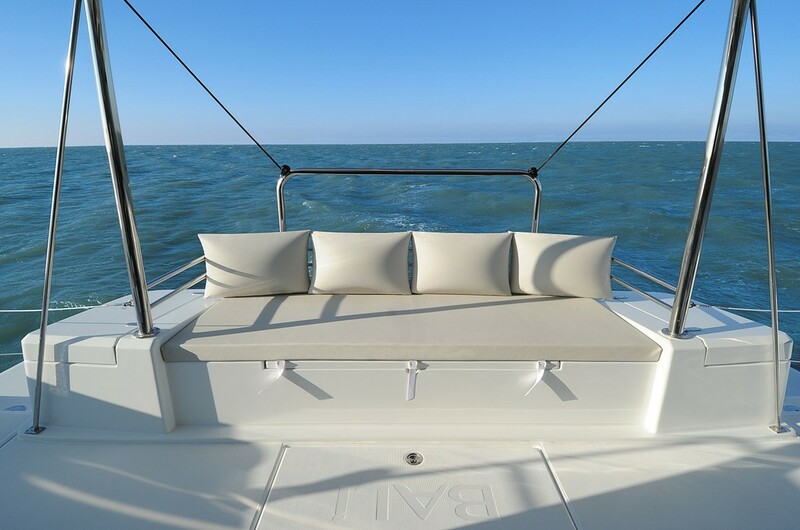 If you want both bed sheets and towels, choose this extra to get both sets at a cheaper price. 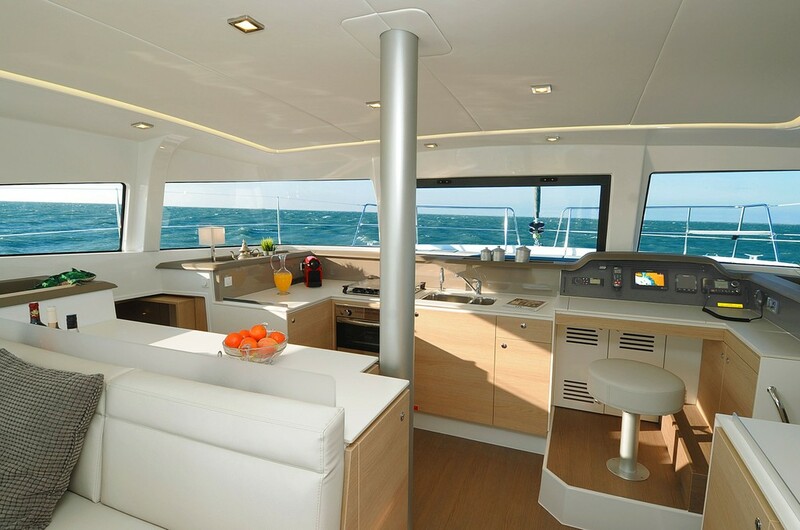 In case of bad weather, you get your money back but the amount paid in concept of (this) insurance.